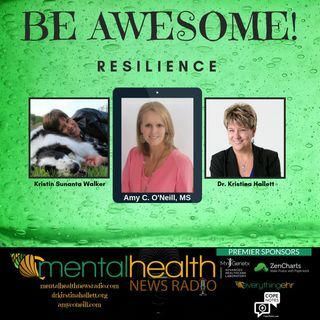 Amy O’Neill, MS, LPC is a speaker, survivor, resilience expert, therapist, and motivator is our guest today with her friend and our co-host, Dr. Kristina Hallett. Today we talk about and examine resilience. Amy O’Neill chose a mental health career that requires resilience to do well and stay healthy; and she engages in hobbies that thrive on resilience, like the Iron-man Triathlon and Boston Marathon. Amy has also been thrust into situations wherein survival came from resilience. Thus, as a ... See More Mental Health professional and Boston Marathon attack survivor, Amy has acquired keen insight into how we can not only survive the challenges life throws at us, but also thrive in creating a life we love.